Perhaps the most significant and important way to connect with these Celestial Timings is through Intuitive Feeling. It is not essential or even that necessary to understand the technical aspects of any given Celestial event. It is more important to tune in for your own sense and connection with what is taking place in the Great Above. It is likely you will notice very specific correlations in your own So Below personal experience. Often these events feel validating and help you to know you are on track and in synch with the unfolding mysteries. In our current culture we are programmed to operate from a more linear, left brain, logical and rational perspective. Letting go of that program and allowing yourself to be in the place of beginner’s mind or a place of innocence and awareness of these Celestial Events is a more authentic and genuine way to approach these mysteries. This is not about creating specific predictions or having to be or act in any particular way. Rather when we open our awareness to the greater cosmos we open to the greater possibilities that are there for us to choose from. Interestingly, I get a lot of feedback from Celestial Timings subscribers who have been reading the Celestial Timings for many years. A large number of them are not astrologers and do not have technical astrology experience. 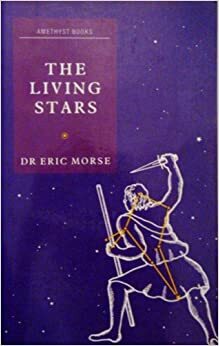 Their feedback often describes experiences that go beyond the logical and rational understanding of the astrological mysteries. And, many have also said they have learned a great deal about how it all works because I do include the technical information for two reasons. The main reason is naming the aspects is an invocation, a calling forth of the energies. The other reason is for those who know their chart apsects, they can apply the information in a personal way. Again, more important than understanding the details and specifics of so many amazing events in a mental way is to take time to listen, be open to your own guidance and sense of what these Timings are about for you. There are many ways to access and express these mysteries that are all equally valid, so it is up to each of us to find the ways that works best for us. What I am sharing with the Celestial Timings, or what others are sharing through their channeling and personal insights, can be a useful, helpful place to inspire your our own awareness and personal relationship with the incoming energies. It is true the mind can’t know it all and it is easy to get distracted by too much information. That is why I feel guided to continue to write a smaller daily offering intended to provide a portal or access point into the rhythmic process of events designed to inspire personal connection with these mysteries. Additionally, there are so many profound Celestial Events taking place these days it is challenging for any one person to give them all proper voice. All of us are being called to be a part of this great unfolding by what we say and do. Everyone is needed at this time to act and speak in the ways that help to create the new reality. As we heal our wounds and make healthier choices we not only find greater joy but we also add that greater joy to the collective vibration. The events taking place in the Great Above help to inform us about what is taking place in the Great Below and the events in the Great Below helps us to understand how the events in the Great Above are manifesting. The premise here is we inform the mysteries as much as they inform us and knowledge of the Celestial Cycles focusedand events give us important tools for consciously participating in co-creating the New Earth experience through intention and attention. The twelve signs consist of 30 degrees each. Each degree contains 60 minutes of measurement before the next degree is reached and gives us a way to map the sky so we know where the planets are in relationship to the stars. The Celestial Timings gives the sign and degree (and in many cases also the minutes) of the planets and stars in their various relationships to each other. This information is provided for anyone who is interested in knowing how these aspects are affecting their own natal chart or is interested in how the planets are relating to each other. The first number given is the degree of the sign and when there is a second number, it is showing you how many minutes in that degree. For example, 6 Virgo 42 is showing a planet located at six degrees of Virgo and 42 minutes. Sometimes it doesn’t add much to give the exact minutes and in that case the degree shown is either the exact degree or has been rounded up to the next degree if the minutes are closer to the next degree. In the example above the minutes are actually closer to 7 degrees than 6 degrees. This is a situation where if the minutes were NOT given the degree listed in the Celestial Timings would be 7 degrees or 7 Virgo. If our example was 6 Virgo 11 then you might see it written in the Celestial Timings as 6 Virgo. Remember, the sign and degree is a way of locating what part of the sky the planet is located or what the relationship is between two planets. In the above example, the planet was Mars and there was another planet say Chiron at 6 Pisces 11 then Mars and Chiron are opposite each other. If say Saturn was at 6 Sagittarius then it would be squaring Mars at 6 Virgo. This is about knowing how the signs are related to each other by Modality or seasonal aspect. Watch for a future webinar coming soon to explain this further.